Why not have an adult stay away for a couple of days or longer. Celebrate that special occasion. 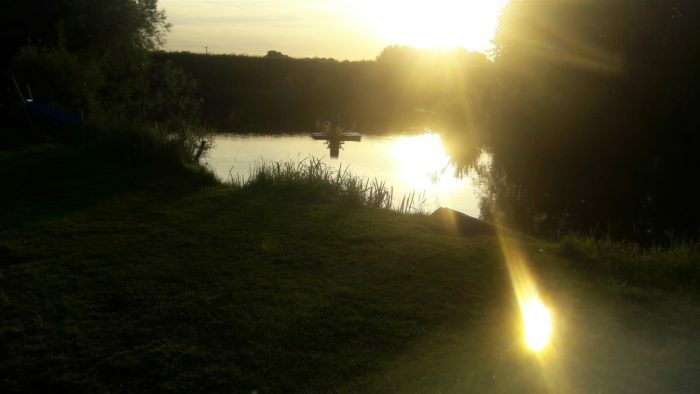 unwind, relax, fish and forget all your stresses with a glass or two and watch the sunset go down. 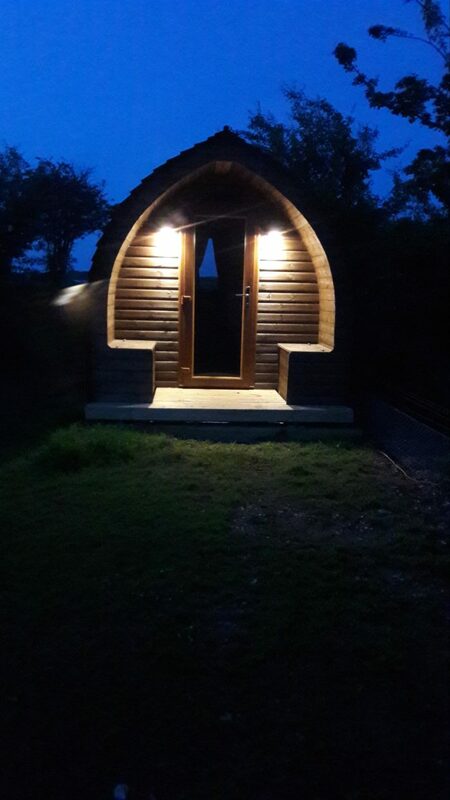 As our pod is Positioned on the Southern edge of the lake you’re in the perfect place to see the last of the day light hours under the stars and a couple of candles to set the mood. 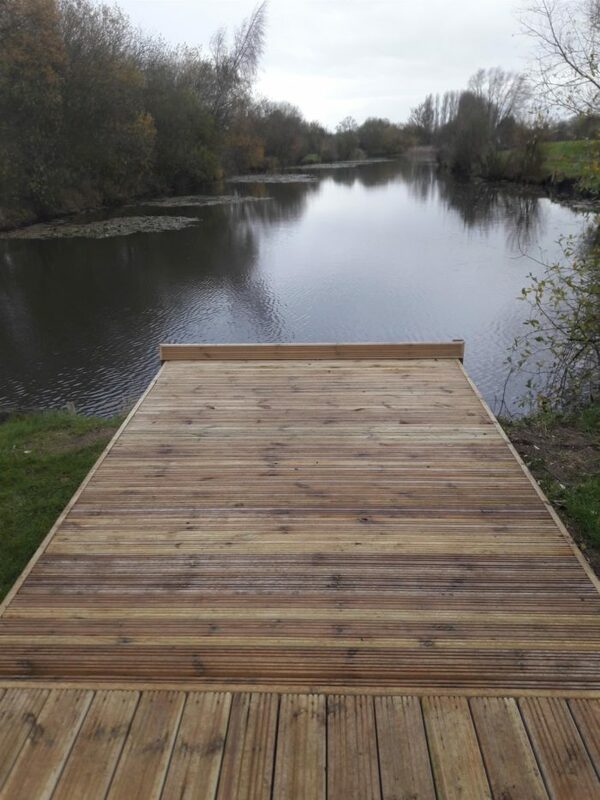 The pod comes with two private fishing pegs, but don’t let this limit you as we have another 34 pegs Around the lake to fish from. 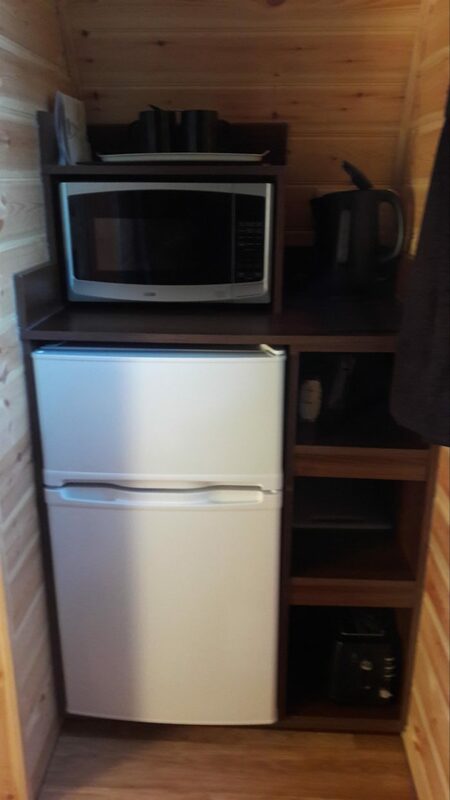 Inside a settee/Double bed, Table & Chairs, Fridge (small freezer), Microwave, Kettle, Hanging space & shelving. light fittings, curtains to the double glazed window, heater and of course plug sockets. 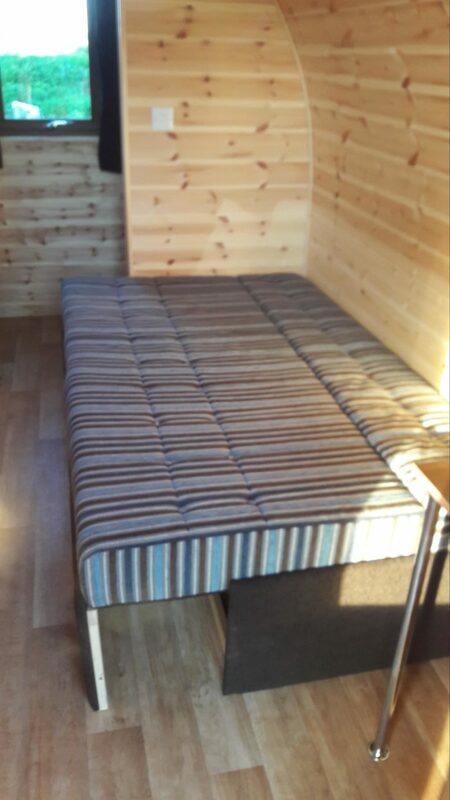 We can provide an air bed if required to make 2 single beds. 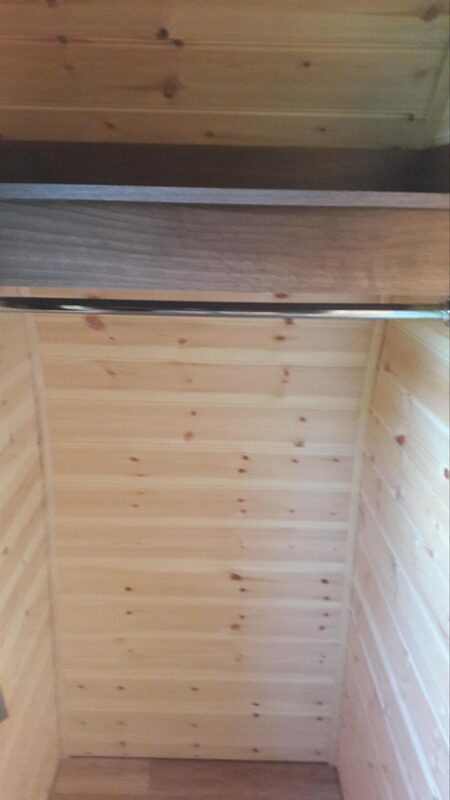 Outside, built in seats under the 1m porch with storage. 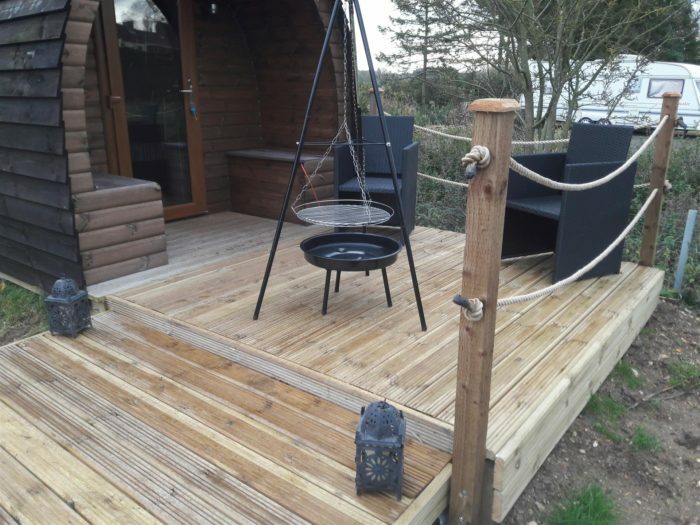 Porch light, decking seating and BBQ. We do sell BBQ coal on site if you require any. We allow up to 1 dog in the pod if required but not allowed around the lake. We do have a small dog walk on site but there are plenty of walks near by. 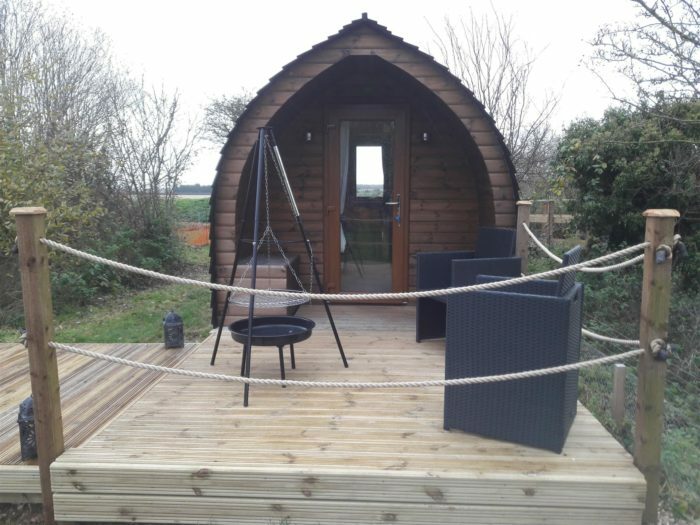 Come Glamping with us & camp in style. No taking down or drying out wet tents. No wind whip or flapping keeping you awake. 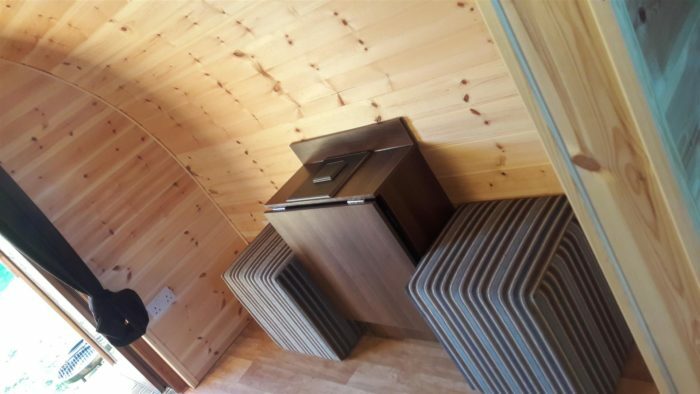 Fully insulated camping pod with heater / 5 x electric sockets/ 4 x internal lights & external lights. 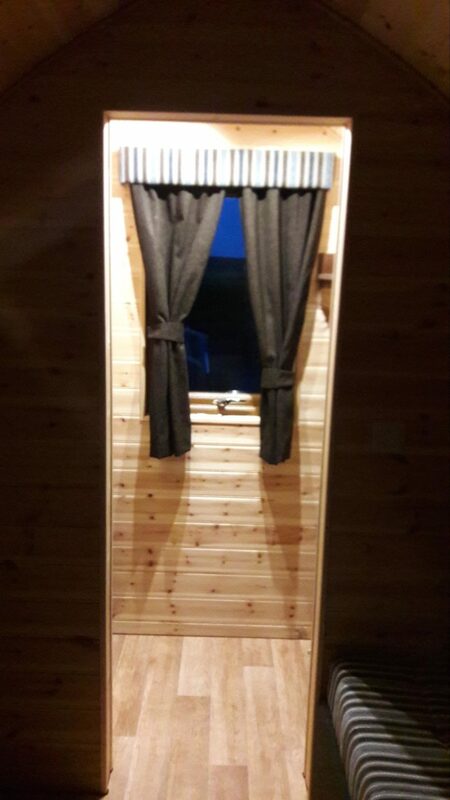 Curtains to the door & window to ensure you get a good night’s sleep. Ideally situated lake side, perfect for those romantic get a-ways. Positioned to the South side of the lake making the most of the sun rise and sun set or simply watch the wild life on and around the water. Bedding/sleeping bags (including pillows). Crockery/Glasses/cutlery/cork screw/tin opener/Food/Torch. No Smoking allowed. No cooking with a naked flame permitted inside the pod. 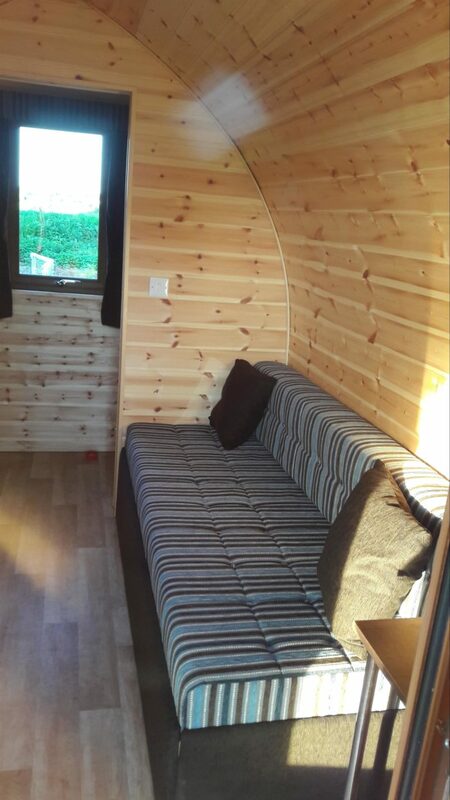 Sleeps 2 per camping Pod. Please enquire to find out about our rates for stays longer than 3 nights or latest deals. 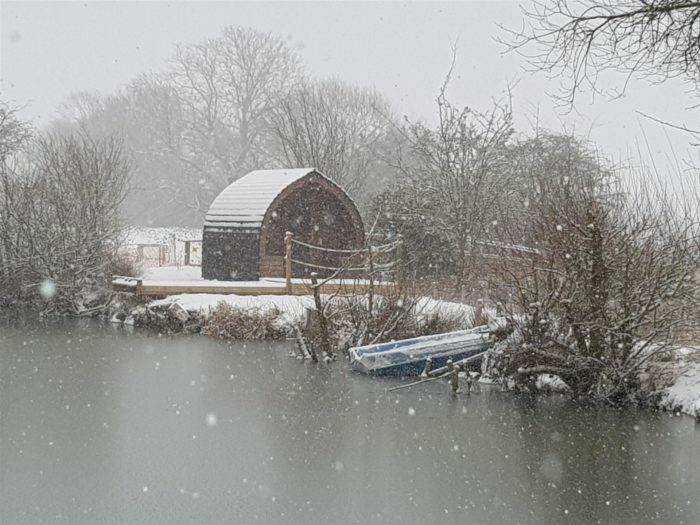 If you have any Adult visitors wishing to spend time on site with you, please let us know before they arrive so we can check to see if it is feasible. There will be a charge of £2 per person. Parking to is be in the car park by the lake and not on the pitches. All visitors must leave site before 8.30pm. 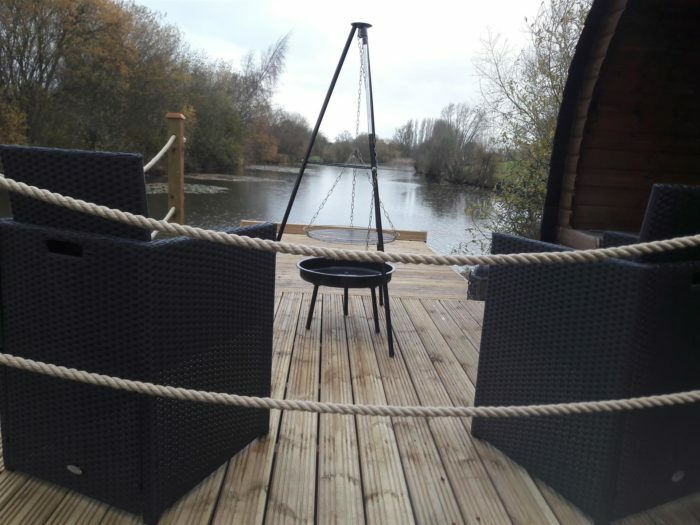 The pod comes with its own fishing peg, but this does not limit you, you can fish any where you wish on the lake where there is a free peg or (reserve a peg).The fee for fishing is as per our day rates but the hours are accumulated in to 8 hours over your stay (so you only get charged for the hours fished) If you fancy fishing and have no gear, we do have a small selection on site that can be hired. We will also have a small selection of hooks and weights and mixed maggots (please check before arriving) for sale. If you require any other maggots then please let us know before your stay and we will order for you. 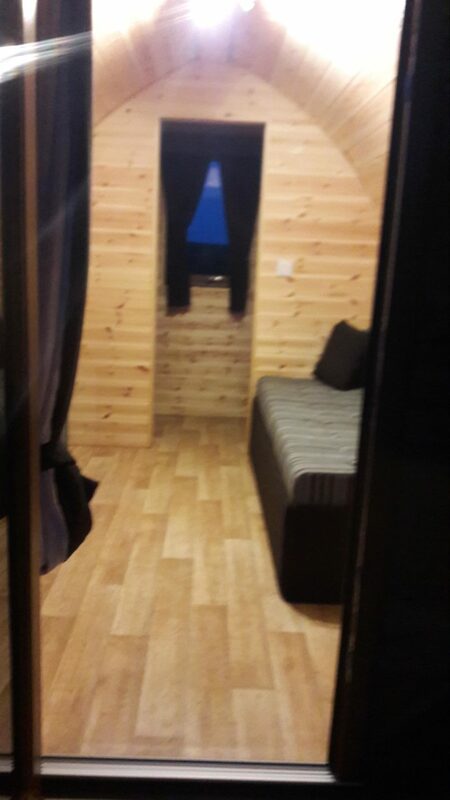 Please arrive after 12:00pm & please vacate by 11am so the pods can be made ready for our next set of guests. Please ask if you wish to arrive or depart outside of these times and will try and accommodate. Please contact us by completing the on line booking form or phone if you have any questions.